As a fan of Blue Ocean strategy, you already know how important it is to have the right strategy. But, a great strategy executed poorly produces lackluster results and missed targets. Unfortunately, most companies and top executives focus their efforts on developing a strong strategy but spend very little time converting those strategies into “execution ready” plans that clearly define the actual work team members need to do to bring the strategy to fruition. A recent survey of more than 400 Global CEOs found that executional excellence was the #1 challenge they faced, coming at the top of some 80 other issues. Competitive barriers are eroding, and competition is stronger than it has ever been. As our expert partners at Blue Ocean Strategy advise, you must move away from the crowded red waters and find uncontested blue water to experience uncontested growth. The market today is far less forgiving of execution blunders than in the past. Every established company today has far more competitors than ever before—and these competitors know no geographic, size, or industry boundaries. Customers are far more demanding than ever before, and brand loyalty is at its lowest. Companies not only have to move faster and faster, but they must be flawless in their execution. Mid-market companies traditionally grow faster than respective companies in their industries. These high growth opportunities require companies to manage the demands of the existing business while creating strategies for growth three to five years out. Broadly speaking, there are two generic strategies for high growth—organic growth through product or market expansions and inorganic growth through mergers and acquisitions (M&A). Both are fraught with execution challenges. Which one you choose depends on the industry you are in, how you differentiate your offerings, how well your business is running and your access to capital. Companies drive growth by doing more of what they already do well, expanding their presence in their current market, gaining market share by way of securing additional customers that resemble their core customer and through new distribution channels. They may choose to launch new products or services for their existing market. They may also choose to expand into new markets with existing or new offerings. Unfortunately, 70% of new product offerings fail. Another very common strategy is to grow by acquiring or merging with another company. Sometimes it makes sense to do this to gain access to a new market or technology rather than developing either. It sounds like an easy straightforward approach, although it is one of the most difficult ways to grow. 83% of mergers and acquisitions fail to pay off and show positive ROI in the first year, if ever. Merging two cultures can be extremely difficult, and breaking down silos becomes an even bigger challenge. 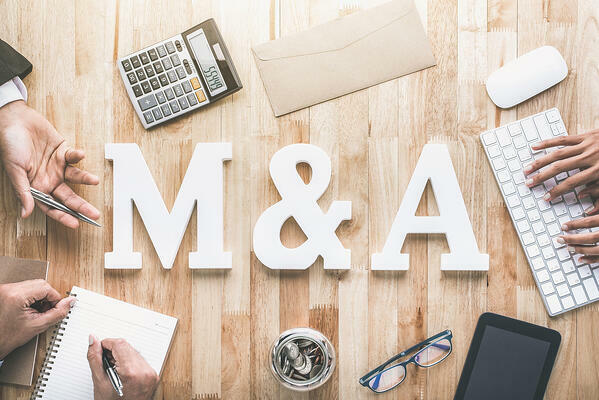 It is imperative that the acquiring company has a healthy culture, well-documented processes and additional bandwidth to make the post-merger acquisition successful. Having the right system in place to manage the acquisition and integration can be the difference between success and failure. Thinking about which new Blue Oceans to go after is a great strategic exercise, but you can’t stop there. As stated at the beginning, it is very important to have the right strategy, but that is only one part of the equation. Success will not be realized if it is not executed effectively, and that is where things breakdown most of the time. The CEO has a vision where the company is going, but everyone else in the organization does not necessarily share that vision or know how they can help make it a reality. Traditional tools to manage execution— like using email, spreadsheets, and functional tools built specifically for one department— are lacking. In order to avoid failure, you must do the following. Getting everyone in the company rowing in the same direction is one of the most powerful things a company can accomplish. Unfortunately, not many companies achieve this holy grail of execution. 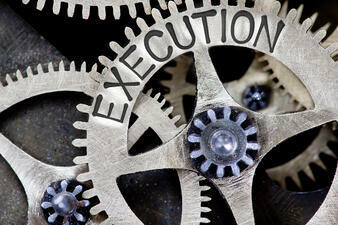 It is one thing for the executive team to have a strong execution plan. It is a powerful thing when the functional departments also have plans that are aligned with the company plan and supporting each other in an intra-dependent manner like a well-directed orchestra. It takes a conscious effort to make this happen, and it’s magical when it does. Departments need to plan in alignment with the company planning and coordinate those plans with other departments in the company. Communicating priorities, resource needs and interdependencies ensures the whole company is successful. Everyone needs to understand what everyone else is working on to time phase the work and share scarce resources. In a major study, when employees were asked how frequently they could count on others to deliver on promises fully, 84% said they could rely on their bosses and their direct reports (those within their departments) all or most of the time. However, only 9% said they could rely on colleagues in other functions (outside their departments) all the time. 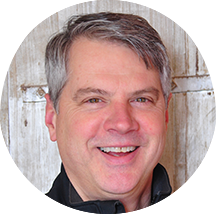 It requires a high-performance culture built on trust, openness and sharing to execute like a finely tuned machine. It is also critical that the CEO shares a vision for the future that’s inspiring and rallies the team to achieve a shared vision. A healthy mission-driven culture which embraces learning and innovation and has the willingness to take risks sets the stage for successful execution. Defining and bringing to life the right set of core values can go a long way toward building and maintaining a healthy culture. As companies grow, things become more complex, and a better way to execute is required to be successful. A new approach is needed as the old ways of managing execution has led to consistent failure for too many organizations. It requires the entire company to be on the same page and have a common knowledge and understanding of what work to prioritize. 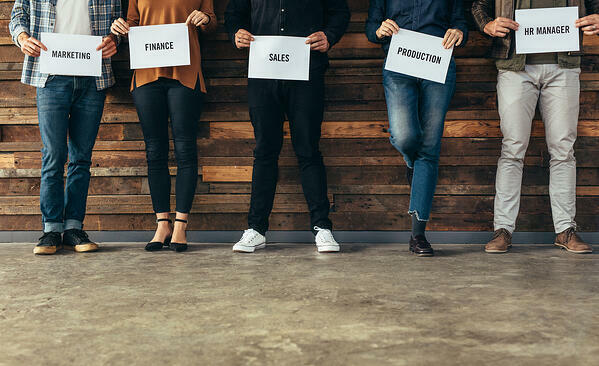 Left to their own decisions, employees will work on what they believe to be most important, which is not necessarily aligned with the company’s goals. Studies have found that two-thirds to three-quarters of large organizations struggle to implement their strategies. An Intelligent Work Platform seamlessly blends the latest cloud-based digital technologies with 21st century management thinking to close the strategy-execution gap by eliminating silos and fostering better execution of cross-functional growth priorities. It is important to set time aside to turn 3-5-year strategies into executable annual and quarterly plans. This is where the work gets done. 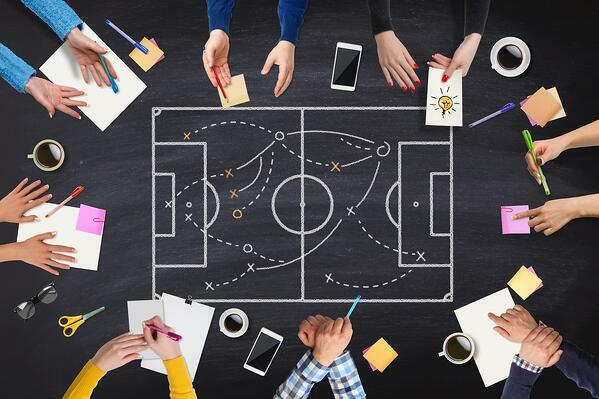 It starts with the executive team developing their plans and cascades down to the individual teams to develop plans that align with the executive team’s. Priorities and key performance indicators are clearly identified with accompanying outcome-based success criteria so that everyone is crystal clear what they need to work on and what the goals are. In order to succeed, it is imperative the right cadence and structure of meetings is put into place. The executive team and each individual department hold a weekly adjustment meeting to review their progress on their quarterly plan and adjust any key performance indicators or priorities that are off track to finish successfully. Individuals hold themselves and each other accountable to succeed and accomplish the work for the quarter. Growth Strategies and Company Plans should be communicated to the firm every quarter. Without clear direction, employees will stay deeply absorbed in their day-to-day responsibilities. Quarterly and Annual Plans should identify the most important goals for the company and each department that will drive growth, test to make sure that the team is not overloaded, and understand the sequencing of work necessary for cross-functional growth priorities to succeed. Clear expectations should be set so every employee knows what they need to do and how their work is aligned to the company’s strategy. Success metrics should be in place so everyone has a clear, visible understanding of what success looks like. Accountability should become part of the company DNA. Every employee is fully aware of the inputs necessary to do their work and where their work becomes an input to someone else’s work. As a result, each employee is fully accountable not just to their department but to the entire company for quality and on-time delivery of their output. Weekly meetings should focus on solving problems to keep your growth plan on track rather than on status updates. As a best practice, at least 80% of weekly meeting times should be used to solve problems. Managers should coach their teams to success by identifying who needs help and why; then they can provide them with needed resources. It is more important than ever to digitize your strategy and execution plans to bring them to life. Having the right cloud-based software platform and methodology will allow the team to connect their execution plans to their long-term strategies. It provides visual dashboards so that all team members can see how they are performing and see what needs attention so that necessary solutions can be developed and adjustments made to finish the quarter successfully. This platform allows the team to work cross functionally and breaks down the silos that stifle profitable growth and cause confusion. It also builds trust and communication so there is no misunderstanding about what should be worked on. Executing successful quarter plans results in a successful year that meets or exceeds stakeholder expectations. If you are using the Blue Ocean method to help come up with new growth strategies, don’t let those great ideas go to waste by not investing in a system to help you execute them successfully. The combination of creating clear execution plans, establishing the right execution habits and using a cloud-based software solution, such as Rhythm, will ensure success. Clients that have taken this approach have experienced results that have helped them support 2X their growth as documented in the book Predictable Results—How successful companies tackle growth challenges and win.